Looking for experienced painters and decorators in Stafford and the surrounding area, look no further than Buildfix Decorating Services. Our professionals have vast experience in Domestic and Commercial preparation and decoration of all types of properties. A large percentage of their time is spent on New Build properties which include preparation and application in company show homes. Main property developers that they work with include Taylor Wimpy, Redrow and David Wilson Homes. Based around the Stafford area and covering large parts of the West Midlands our experienced and highly qualified team aim to make your decorating experience a pleasant one. Supported by a team of builders and renovators they can also help you with full renovation projects should you require. 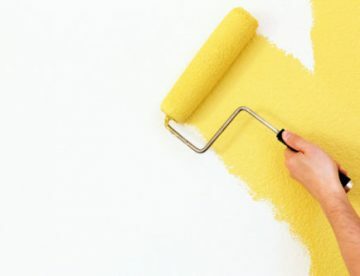 Whether decoration is to be part of a specific project, or your premises is in need of a makeover or modernisation, we will manage the process with our highly trained and experienced workforce and using only the very best materials. Whether it’s one area interior, or a whole building exterior, our skilled team will manage your decoration project in a professional way, minimizing impact to your business or home and the daily traffic which passes through your premises. We will work with you, maximizing the available space and light, advising you on colour and texture to achieve your desired effect. Working with Dulux, Johnstone, Crown and Laura Ashley we can ensure your home or business has the best quality and modern products to show it’s best potential.